Photos taken 6 months after injecting 0.5cc of Radiesse into each nasolabial fold before a second injection of 0.5cc into each fold. 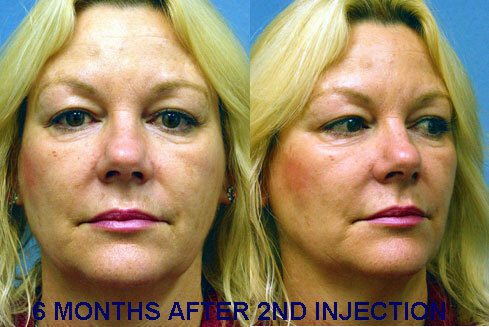 Photos taken 6 months after the second injection of Radiesse to the nasolabial folds. 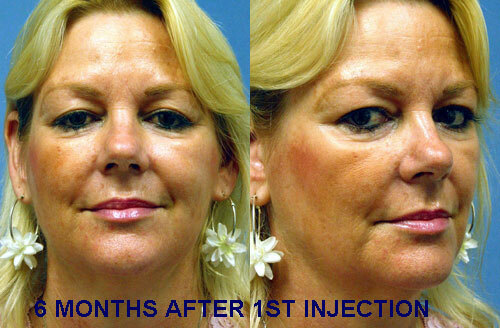 It is evident that the material is still present at 6 and 12 months after injection. The result was obtained without any surgery or recovery time. 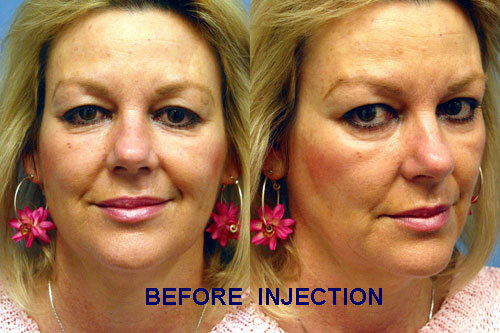 Radiesse injectable filler can enhance your appearance and your self confidence. Realistic expectations are important to be happy with any surgery. As each patient is an individual, different results can be expected in each patient. The main risk of Radiesse are lumps or granulomas if the material is injected too close to the surface. The benefits are reliable softening of laugh lines for 1 to 3 years without surgery or down time. You can go back to all of your normal activities within a day of the injections and the result is immediate.